KAMPALA – Police in Kampala are investigating circumstances under which four children perished in a fire that gutted a maize store in Kisenyi, a city suburb, on Tuesday evening. According to Kampala Metropolitan deputy police spokesperson Luke Owoyesigyire, they are seeking to establish what the children were doing in the store at the time. 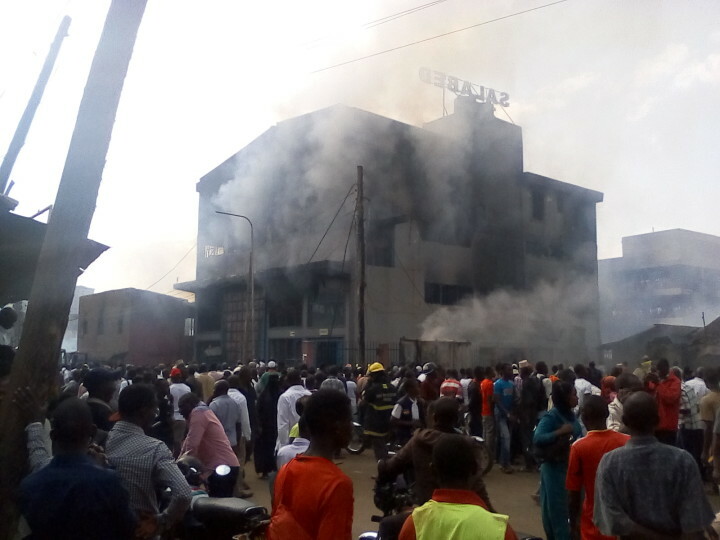 “We are yet to confirm the cause of this fire but we suspect it was a fault in electrical connection. We shall know the exact cause of this incident after investigations,” Mr Owoyesigyire said. He said residents tried to rescue the children but the fire was spreading fast. “This fire spread so fast and the children who were inside were unable to escape. Locals and police tried to rescue them but it was too late. The victims were removed already burnt,” Mr Owoyesigyire said. The victims were rushed to Mulago hospital but two of them were pronounced dead on arrival while the other two succumbed to the burns hours later. Police identified two of the deceased as Darlen Busulwa and William Kayiwa whereas the other victims’ details had not been gathered. Police urged residents with vital clues on what could be the cause of the blaze to report to Kisenyi police or inform officers at fire and rescue directorate for a comprehensive investigation. At least 12 children have died in fire incidents in Kampala City, Wakiso and Mukono districts since this year began. Early this month, a mother and her three children died in a fire incident at Lugala-Ssugu village, Mpatta Sub-county in Mukono District. Grief-stricken residents identified the deceased as Jamila Namusisi, 26, and her three children; Moreen Namusoke, Shamira Namirembe and one Shakira. However, there were uncoordinated accounts of the cause of the incident as some locals insisted it was caused by a burning object such as a candle or lamp inside the house. Others claimed a jerrycan of petrol was found abandoned at the scene, creating an impression that the house had been set ablaze by an unidentified person. A similar incident happened in Nabutiti-Kansanga in Makindye Division where a mother died alongside her three children. Police identified victims of Kansanga inferno as Annet Tusasirwe and her children Elijah Akanwasa 10, Musa Kyakuha, 5, and Rebecca.